( 0 ) Reviews | Be the first to review this item! Make sure you're properly prepared for your next iShot Pro adventure! The iShot G7 Pro® allows you full control over your tablet. It provides the peace of mind that your expensive device is safe and secure in a durable metal frame. 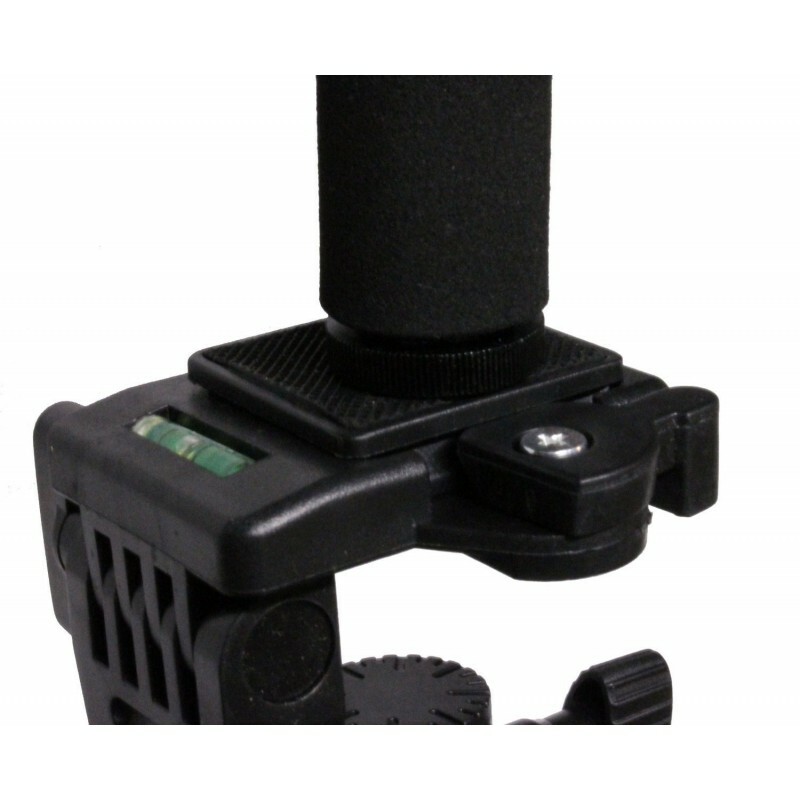 Simply insert your device, lock it in with the knobs on the rear and screw onto your tripod. Done! 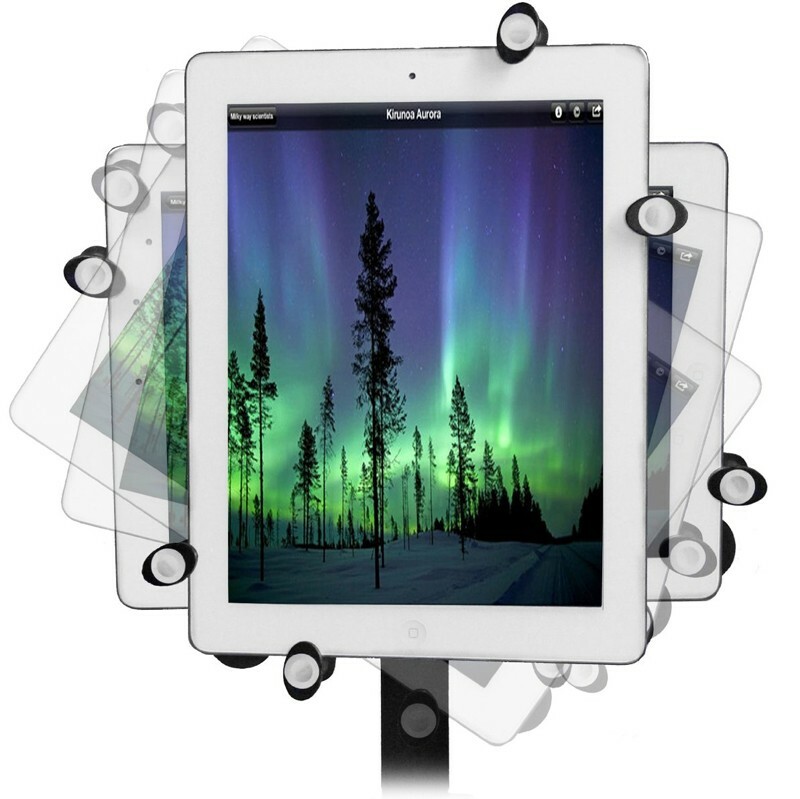 Move your device from landscape to portrait with minimal efforts. 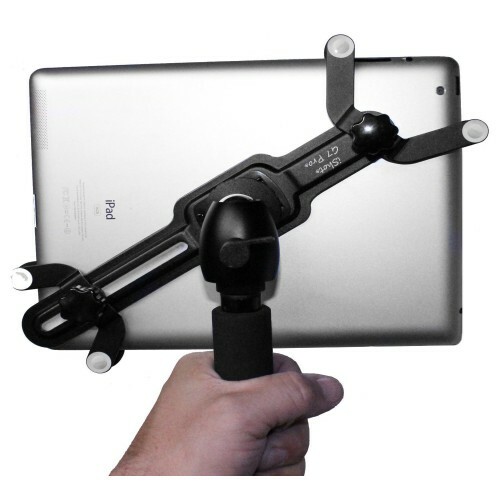 Pan in any direction on your tripod like a pro without shaky video. 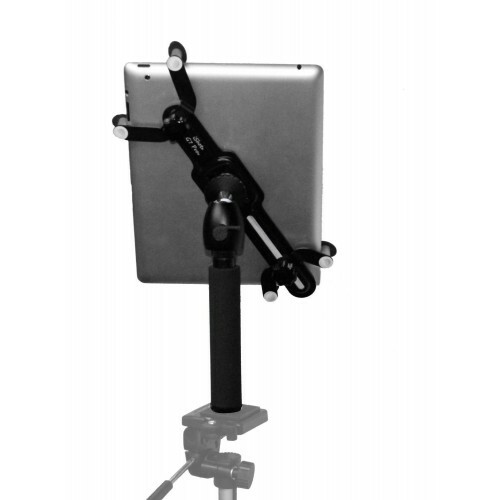 Our customers asked for us to create a lightweight aluminum frame, solid, very secure, long lasting, easy to use tripod mount for their tablets and we did! 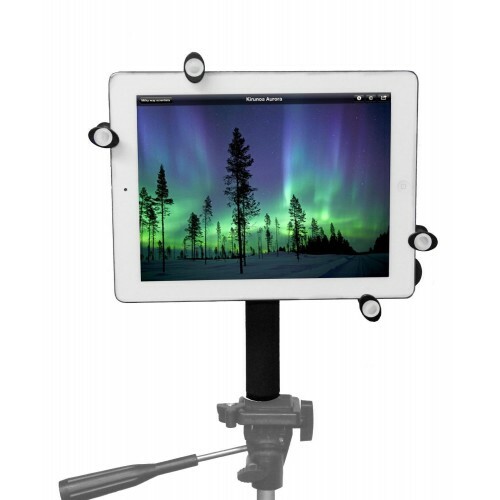 iShot Mounts our the most rock solid tripod mount that money can buy. 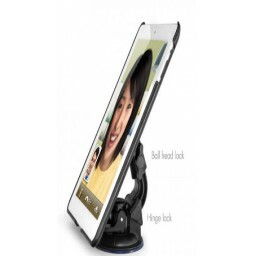 On top of that; we decided to add a slick corner-to-corner design that makes it impossible for your tablet to fall out during use once tightened down. iShot G7 Pro® sports a zinc plated thread for longevity. 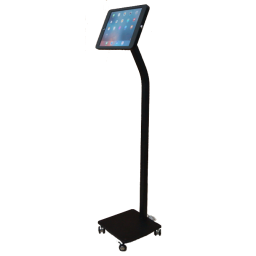 Super lightweight and discreet, weighing in at less than 6 ounces fits easily in your backpack, purse, carry case etc. There are no reviews yet. Be the first to review this item!